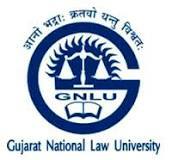 Essential Criteria: Master’s Degree in Law with at least 55% marks (or an equivalent grade in a point scale wherever grading system is followed) from an Indian University, or an equivalent degree from an accredited foreign university in Maritime laws/ Law of the Sea/ Public International law; (ii) Good knowledge of latest national and international research trends and developments in the fields of Maritime laws/ Law of the Sea/ Public International law; (iii) Ability to conceptualize and organize international training workshops and brainstorming online/on-site discussions apart from teaching/Research; Or Any outstanding scholar, researcher or practitioner who in the view of the University has made significant contribution to the knowledge of Maritime Laws/ Law of the Sea/ Public International Law or closely associated fields and who can realize the aim and objectives of the Chair. Highly desirable: (i) Experience in teaching/research in premier law universities/colleges. (ii) National Eligibility Test (NET) conducted by the UGC, CSIR or similar test accredited by the UGC like SLET/SET; (iii) Excellent inter-personal and team-building skills; (iv) Ability to innovate and to improve academic programmes or services and to pursue interesting new ideas and new methods. Essential Criteria: (i) Master’s Degree in Law/ Social Work with at least 55% marks (or an equivalent grade in a point scale wherever grading system is followed) from an Indian University, or an equivalent degree from an accredited foreign university; (ii) Good knowledge of latest national and international research trends and developments in Law/ Social Work; (iii) Ability to conceptualize and organize international training workshops and brainstorming online/on-site discussions apart from teaching/Research; (iv) Fluency in English language. Essential Criteria: (vii) Bachelors/Master’s Degree in commerce/finance with at least 55% marks (or an equivalent grade in a point scale wherever grading system is followed) from an Indian University, or an equivalent degree from an accredited foreign university; (viii) Good knowledge of procurement rules and regulations; (ix) Good knowledge in English language. Essential Criteria: (i) Bachelor’s Degree with at least 55% marks (or an equivalent grade in a point scale wherever grading system is followed) from an Indian University, or an equivalent degree from an accredited foreign university; (ii) Good knowledge of Computer applications; (iii) Good knowledge in English language.